Come and join us in Buenos Aires for our 2nd Radian6 Day. On August 29 we will presenting use cases and best practices regarding the implementation a Social Media Command Centers. Click here more information. In the recent few months I have seen a noteworthy progression of social media command centers in Latin America in industries like CPG, telecommunications and banks. The Latin American market is changing from having just a community manager to monitor Facebook to forming command centers with monitoring tools and community platforms. Some of these companies are early adopters eager to take the risk of failing and to quickly overcome any social media hurdles. Some are just using social media tools, others are incorporating forums and knowledge bases and others have a CRM system somehow integrated to the command center and social media channels. The good thing is that these companies are learning to listen and to validate social media metrics to then start a Social CRM strategy in phases. Based on what I have seen in countries like Mexico, Colombia, Chile and Argentina, I have come up with 4 different levels to manage a social media command center. 1) Facilitate the Conversation. Using social media tools like Buzzient, Next Principles, CoTweet or Radian6, we can monitor and have an engagement where agents of the command center and/or the community managers are able to understand the conversations and be the advocates of the consumers. The problems are not solved but they facilitate the conversation to understand the problem. 2) Community Collaboration. Once they understand the problem, they seek ways to engage the community to solve the problem. With a knowledge management system and/or communities such as Open-source forums, blogs, UserVoice, GetSatisfaction, Fuze Digital, Yahoo Answers and/or Lithium they can re-direct the consumer to the appropriate content to resolve the problem. 3) Solve the Problem. But if the community cannot solve the problem, or your company has no content in the knowledge base, they can then manage the problem in the CRM system with interfaces and processes that create contacts and cases from the social media-monitoring tool and/or from the community platform. This implies that not all conversations on Facebook or Twitter should reach the CRM system. The command center should have business rules and workflows that will filter these conversations to the appropriate areas in your organization and/or community platform. Some tools used are ZenDesk, Desk.com and CRM software integrated to social media channels. 4) Learn from Metrics. But the most important thing is the power in real time to analyze the conversations in the different social media channels and communities to learn from trends and metrics. The command center metrics should also be part of your customer analytics and BI strategy. These 4 levels of community engagement have different management flavors: a) marketing departments, b) customer service, c) call center outsourcer, d) marketing agency, and, c) a combination of the agency with the marketing department. It is still an evolving process and these companies are still learning as the move from one phase of the implementation to another. The interesting fact is that they now understand that it takes a community to manage a command center. Note: Many of these companies are still under a stealth mode with their Social CRM strategies, some are just doing customer service, others are gathering ideas and feedback and others are just building communities outside Facebook and Twitter. They are still learning and are not yet using their social media success or failures for any public relation goals. For the past year we have been providing Radian6 training in Spanish for the Latin American market. As part of the regular Radian6 purchase, our customers get 6 online courses in Spanish for unlimited users of Radian6. Courses are delivered online every Tuesday afternoon. For more information and course description go this link. In the last 5 years, Solvis has developed a network of companies in the region with a vast experience in CRM and Call Center, including social media and Social CRM. Some of the services we provide are social media monitoring, conversations maps, training and workshops. 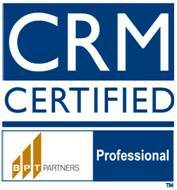 These services include strategy engagement and implementation of different CRM packages, including Radian6. Solvis Mexico: focus on CRM services from social media to Social CRM and from call center assessments to CRM implementations. e-Sofia - Solvis Colombia: focus on Business strategies to IT assessments, including Business Intelligence. Performace Solution - Solvis Peru: focus call center outsourcing, Six Sigma, BPM, software development and CRM services. Centro de Formación de Call Center - Solvis Argentina: focus on call center training, selection and outsourcing, including CRM services. All affiliates provide local support Radian6 sales and support. Get to know Nimble CRM! We are an autorized Nimble Partner. Get to know more about Nimble CRM - visit Nimble on Youtube! We are a Nimble Partner! Nimble is a unique Social CRM solution for Small Business. Nimble allows to manage your contacts and social media connections in a simple and easy way. The focus is on maintaining your calendar, communications and contacts in one place. The best part of it, it allows you have one Universal Inbox - Google, LinkedIn, Facebook and Twitter in one place. Solvis is glad to be an official Nimble partner. Solvis believes that Nimble provides a unique solution for the small business in Latin America. It allows small business to manage communications and contacts in a simple and social way. Contact us for more information via our Nimble portal and request a private beta.